Ecomondo is the only platform in Europe to offer a broad programme of conferences, workshops and seminars to present national and international evidence and new trends relating to the various strands of the circular economy, including building, packaging, electronics and the automotive industry. 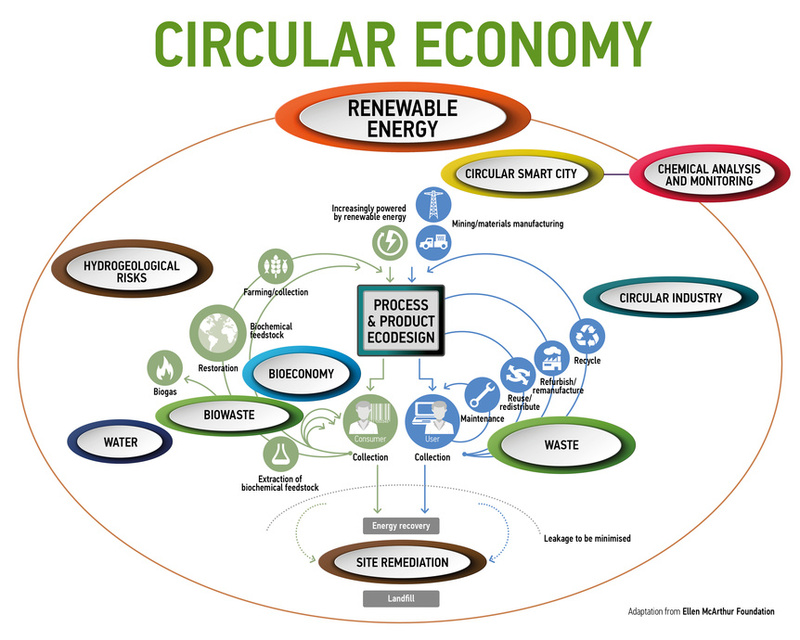 The circular economy: the paradigm of the 21st century for the redefinition of growth and development. Models to meet targets and pricing models. Treatment and valorisation of solid and special waste. Composting, anaerobic digestion and innovation in the biorefining of industrial and municipal waste. Plastic and Bioplastic: management and valorisation of sector waste, reduction of the impact in the sea and the soil, and new European legislation on the issue. Management and valorisation of primary and drinkable water resources, urban waste water and slurries in contexts relating to agriculture and industry. Valorisation of industrial waste water. The path of the whole sector to the circular economy. Reclamation and sustainable requalification of contaminated areas, prevention and monitoring of hydro-geological risk. The quality of indoor air: situations and outlook in Italy and Europe. Odorous emissions: from abatement technologies to new control strategies. Communication and Corporate Social Responsibility: the new tools for a new culture of sustainability. New priorities and opportunities for Circular, Smart and Healthy Cities: the circular and sustainable approach in the lives of citizens. Every year, Ecomondo plays host to the States General of the Green Economy, the key annual meeting for Italy’s green economy. Promoted by the National Council of the Green Economy, in partnership with the Ministry for the Environment and the Ministry for Economic Development, it provides an analysis and an update on the most topical and important economic and regulatory issues.